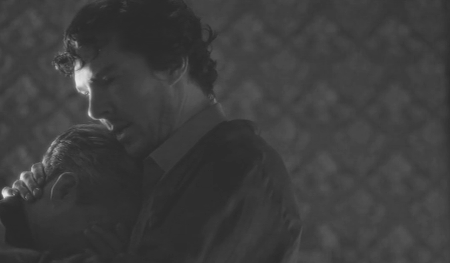 BBC Sherlock Fan Forum - Serving Sherlockians since February 2012 » TLD - What is real in this episode? » TLD - What is real in this episode? TLD - What is real in this episode? There is no way to explain this away. The date as such does not exist. Re: TLD - What is real in this episode? 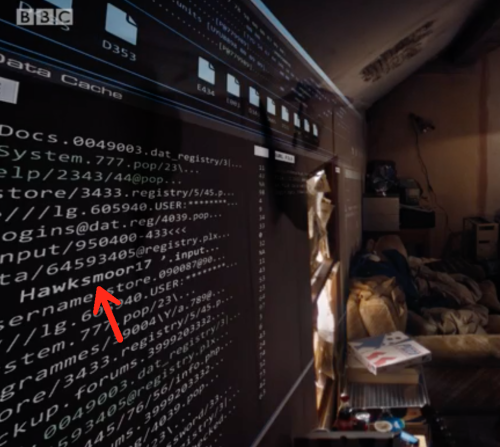 There have been some odd elements present throughout Sherlock which may come together into some sort of fantasy/fictional/delusional motif at some point the most recent of which was seen at the hacker's house as a graphic overlay. The book Hawksmoor is about two stories set around 300 years apart which influence and mirror each other in realtime within both periods. It could be that a grander version of time, than that which is commonly believed to occur in a linear fashion, is being explored in the construction of the final problem. 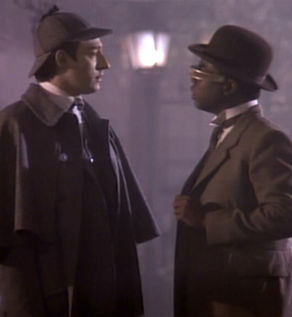 That introductory scene also has such dream quality to it... is it all real or is it part hallucination? And if is just a chimera, who hallucinates it exactly? It does look like 2044 there, but when I watch it, it looks more like 2011. My guess is that this is irrelevant. However, I agree that it's good to have a thread for this. Something's are obviously not real and flagged up as such. But I'm still interested in Culverton using a memory-erasing drug. There's no real need for that in terms of the story (apart from setting up Faith/Euros, but that could have been done differently and is actually kind of awkward the way it's done, with the paper). Memory is surely going to be important next episode. But there might be further clues in this one. Thank you and the same to you, m0riarty. Interesting hint about Hawksmoor. It is by Peter Ackroyd, right? I read "The House of Doctor Dee" and he has a knack for mixing reality and the surreal until you do not know what is real anymore. I think this is the story presented to Sherlock by Eurus - the way Faith experienced it, based on the convo with CS, I suppose. 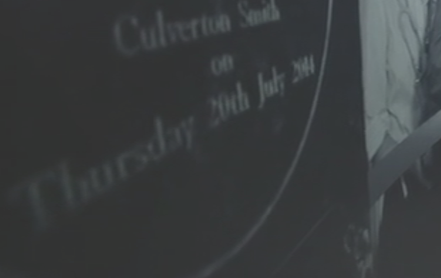 You are right, this is the marble plaque from the video. What we see in the show itself, however, is an enlarged photo. I showed the pic to my son who had no idea what I was about and he was very sure that it read either 2041 or 2044. I've built in bigger mistakes in ads during my career. And they were for real. As for the code - there are other geeks in the crew making their own little jokes. Remember Ugly Duckling? So far - no repercussions. Probably just a Polish designer. Probably they noticed their mistake during the editing process and made the picture that actually apeared in the episode blurry and stained on purpose so we couldn't tell if it was 2011 (when July 14th was a Thursday), 2014, 2041 or 2044. I can hardly read the "was opened" part on my HD TV either. Some people have keen eyes! Once again I think Mycrofts office scene is MP. The glass globe this time is the small one and the telephone is the grey and red one. Sherlock suspected Mycroft had a goldfish - maybe this is how he imagines it happens. please No. He would shoot him and I love Mycroft. The goldfish conversation and the "either I've interrupted something or your exercising " comments were amusing though. The whole goldfish concept sits very well with me. Lady Smallwood says that she is on holiday" if She does not call her" or something like that. Mycroft answer " Prime minister", lady Smallwood does not confirm. Did she really mean prime minister? And back to the Thursday 20th July 2014. It is clearly this date but is it normal to write also day? I have never seen any plaque with the day mentioned, only date . Is it normal? Or can it mean anything especially when it is not correct? I think it is unusual to give the weekday in this context. This is something one would rather do on an invitation or when advertising an event. But it is not impossible. However, Arwel Wyn Jones and his team are very meticulous and I do not think they would make such a mistake, especially not if it was just two years ago. It takes you half a minute to look this up. If you look at the sheer amount of those "mistakes" and "continuity errors" and "inconsistencies" we have found in these two episodes - I do not think this is a coincidence. There have been such occurrences before but never so many. The whole scene is so weird but let me pick out just some observations. The carpet(s) are looking like a puddle of blood. Red is an unusual colour for an animal skin. Eurus is using the John/Sherlock phrase “It is what it is.” So far John has only mentioned universalities, his being better, Rosie being perfect, Sherlock being back to normal. I assume he has not mentioned these words to Eurus. And then the phrase comes out of nowhere. So she either overheard them talking at 221b (like Moriarty or Mycroft would) or she is not real. “I’m sure the therapist who actually lives here wouldn’t want blood on the carpet. Oh, hang on, it’s fine. She’s in a sack in the airing cupboard.” So we are meant to believe that Eurus killed the real therapist, right? But she is using her house at least for the second time. 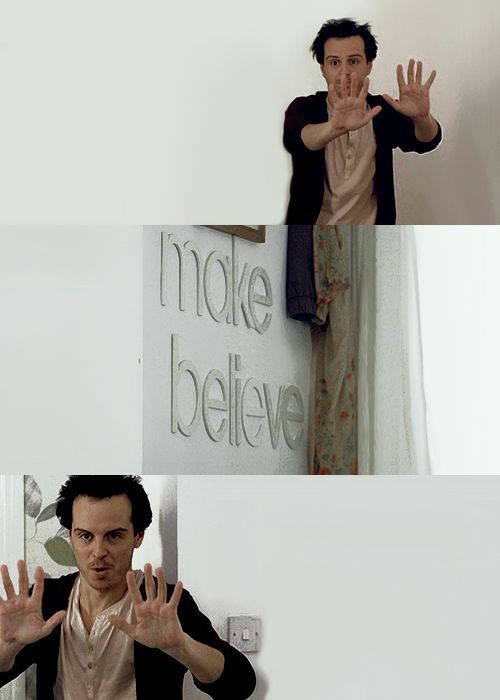 John visits her at least twice and his words about being better and Sherlock recovered show that time has passed. If Eurus killed the therapist before his first visit, someone should have grown suspicious by now. Or even found her.